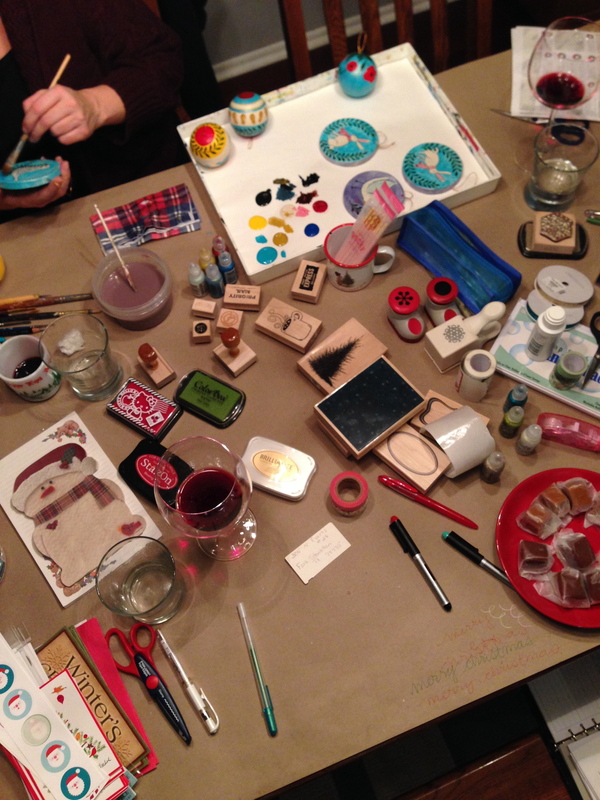 On Sunday night I hosted a little Christmas card writing party. 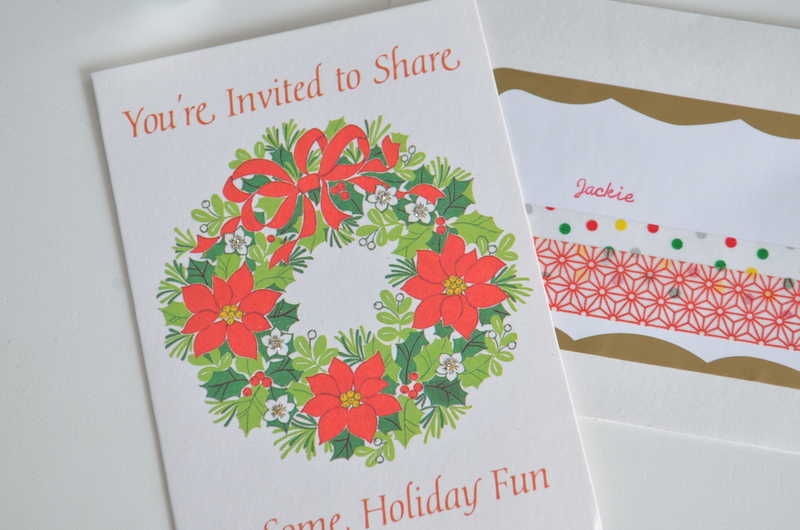 I sent out some (last minute) vintage invitations from Saturday Morning Vintage. Aren’t they cute? It’s hard to tell in the pictures, but I added a touch of glitter to each wreath using my favorite glue pen and some Martha glitter. I typed up gold labels for the addresses (some were mailed, some were hand delivered) and embellished the envelopes with some washi tape. Fun stuff. I started collecting my holiday-ish supplies all last week. I have loads of things, mainly from making my own cards in the past. 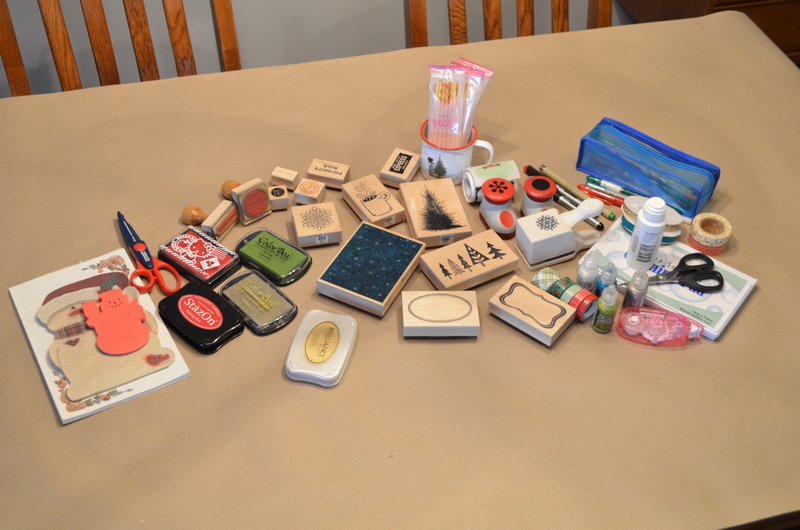 On Sunday morning, I covered the table with kraft paper and set out the stamps, tapes, inks, Stickles and stickers. (I learned from the best by attending so many LWA socials!) On Sunday evening, the ladies came over and we ate funeral buns (I told you they would be a new party staple!) and salmon dip and caramels. We enjoyed mulled wine and got more done than I thought we would! Jackie already finished her holiday cards, so she painted some ornaments. Karen and I wrote our cards. I got through the L’s…not including my pen pals (because their envelopes are more involved than some of the rest of my list). Tonight, my goal is to finish them up…I’m in a mail art kind of mood, so it should be a fun project! I’ll report back on the cards soon. I want them to make it to their destinations before sharing on the blog. 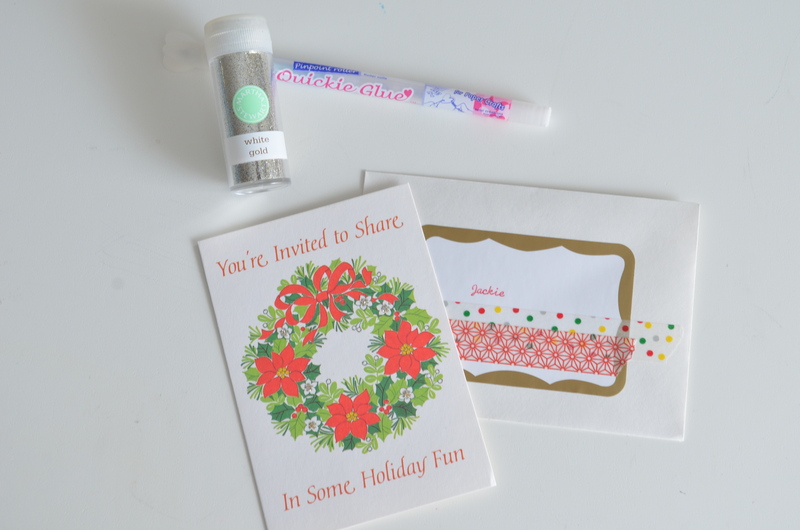 Have you finished your holiday cards? Have you been getting a lot in your mailbox?